There is nothing the least bit low-key about Carol Bartz, the longtime Autodesk executive and former Sun Microsystems key executive who is widely considered to replace Yahoo co-founder Jerry Yang as CEO. 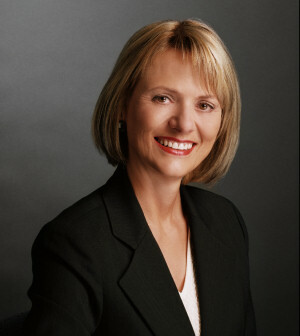 Carol Bartz presided over Autodesk as its president/CEO/chairwoman for 14 years since 1994, before stepping down in 2006. Prior to that time, Bartz served in the executive ranks of Sun Microsystems, DEC, and 3M. Not only might she be a dramatic change from the character of the laid back, often timid Yang, Bartz could be the polar opposite of Yang's predecessor, former Warner Bros. executive Terry Semel. Twice, she's been named one of Forbes' 100 most influential women in business. That hasn't just been for running a tight ship, but for taking time to inspire women, and most particularly young girls, to follow her lead: specifically, to be unafraid to excel in math, and to excel in the midst of men. In a 2001 speech at Stanford University, Bartz explained one of the key slogans and principles she coined within her company -- a tonic that Yahoo could desperately use right now. It's the "3F" concept, or "fail-fast forward" -- the idea that you engineer a company to fail in certain missions, to be resilient to failure, and to respond to it by overcoming quickly. "I had to do this during the dot-com time, where everybody panicked and decided that you guys were going to rule the world," Bartz told the crowd of Stanford students. "And any established company doing software -- boring (software's actually part of the Internet, but that wasn't figured out at the time) -- and that frankly, people got even more cemented in and scared to take risks, because what did it mean in an established company? "So we started this thing called 'fail-fast-forward,' and the whole idea is, listen, failure is very acceptable. When it happens, make sure you identify it quickly, and hopefully it's in a forward motion. And then start going again." Part of that corporate engineering process is actually quite unique. "Now...what that really means is, those people who don't want to check in with us -- in other words, they want to start a project and they're not going to check in with Manufacturing to make sure this can happen, and they're not going to check with Finance -- things that can happen inside a company. And I said, 'Those kind of people don't need a slogan. They're going to do it anyway.' I'm trying to break free those of you who are afraid to make a change. And so 'fail-fast-forward' became a real rallying cry inside the company, saying that, in fact, let's move." In a student journalism project for the San Jose Mercury News, Bartz -- knowing she was speaking to younger readers -- gave advice that you would have never heard any Yahoo executive give a student. A dose of low self-esteem -- that's right, low, but measured and kept in check -- is necessary to keep one on her toes. Remember, this person may be hired by a company whose name is Yahoo. "I think where a lack of self-confidence or low self-esteem gets debilitating is when people start thinking that they can't be good at anything," Bartz told the student reporter. But when asked point-blank if it's okay for one to fail, she responded, "Oh! You must fail! You must fail. If you don't fail, you don't know the degrees of success. It's like, say, skiing. You have to fall down to learn how to be a better skier. I happen to be a big gardener, and if you don't kill a lot of plants along the way, you don't know how to garden. [It's the same] if you don't have failures in school, in business." For the record, Autodesk has failed before. In 1999, she presided over her company after a workforce cut of around 300, or about 10% of the company. But the respect and admiration for her apparently remained solid, especially when compared to the prior decade when the company almost failed completely. A 1991 essay written by Autodesk founder John Walker -- by that time, no longer with the company -- spelled out the problem in very clear detail: "Over the past three weeks I've been trying to get a handle on the nature of the underlying problem. So here goes. The problem is executive management. Autodesk doesn't have any. "The people who form what is now called the Executive Review Board," Walker continued, "are genial, well meaning, and for the most part hard working individuals. But whether from lack of capacity or failure of will, they are not behaving as executives. By failing to provide the leadership Autodesk needs, they are depriving our company of a resource which is generally recognized to be one of the principal factors which determine the future of any business. Autodesk's executives are behaving as supervisors or managers, not executives. There's a difference, and it's crucial...Autodesk's executives are not executive material. Present them with a clear description of a task: 'Find a campus site,' 'Reorganise around product lines,' 'Diversify into molecular modeling,' and they will usually get the job done. That is management, not leadership. It is not what executives do. Executives must identify the tasks which the company should undertake, select the managers to accomplish them, and then provide the leadership and support to ensure that the tasks are carried out as they envisioned. When have Autodesk's executives ever done this?" Maybe never, at least to that point in time. But Walker's words were taken to heart in the selection of a leader to bring his company into focus: Carol Bartz. She may be exactly what Yahoo needs at this point in time to rebuild not only its integrity but its mission and its message. It may be time for a little Upper-Case Executive Leadership.